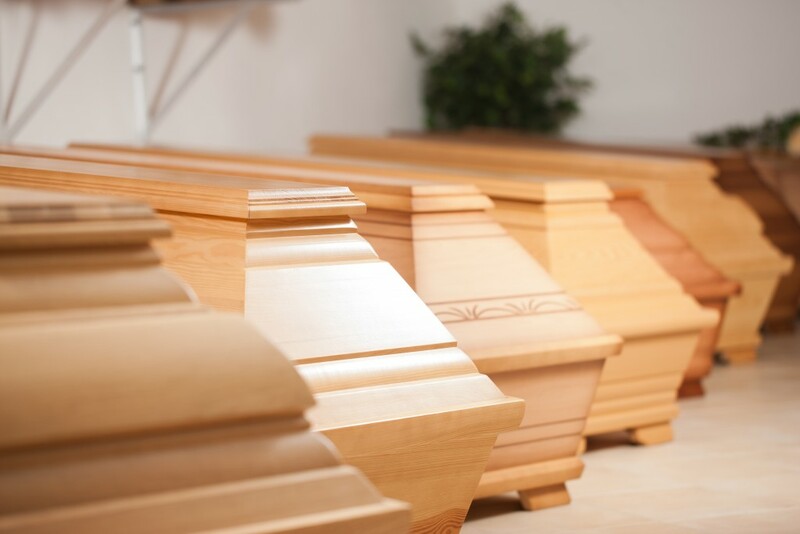 At Clitheroe Funeral Services we supply a wide range of coffins and caskets to suit both burial and cremation. It’s a personal decision, one that may be influenced by the wishes of the person who has passed away or family traditions, but our staff are here to help and advise you on all the options. You may choose a truly elaborate coffin or casket, or opt for something simple. There are many ways you can make it more special, such as the placing of personal items in with the deceased, for example photographs or letters. At Clitheroe Funeral Services we place no restriction on what you place in the coffin whilst the person who has passed away is in our care. However there may be restrictions placed by crematoria, for example, metal or glass objects. We are happy to advise accordingly. We will always supply bearers to carry the coffin or casket. Alternatively you may choose family members, friends or colleagues of the person who has died to be bearers. You may want to choose a special outfit for the person who has passed away to wear and this is usually acceptable. However, in some circumstances, particularly where cremation will take place, we must comply by regulations which restrict certain materials. If you wish to provide the clothing for your loved one, we would be happy to talk through this with you. Alternatively we can supply a wide range of dressing or suiting robes, which are acceptable to the relevant authorities. It’s becoming more and more popular for people to arrange a funeral that includes an aspect of environmentalism. We can help you arrange a funeral that offers increased sustainability for valuable woodland, find out more here.